It’s a new year of ministry and I’m so excited to see what God will be doing through Precept this year. In December, Precept sent out a special email to inform all those involved in the ministry that we were facing a $25,000 deficit for the end of the year. 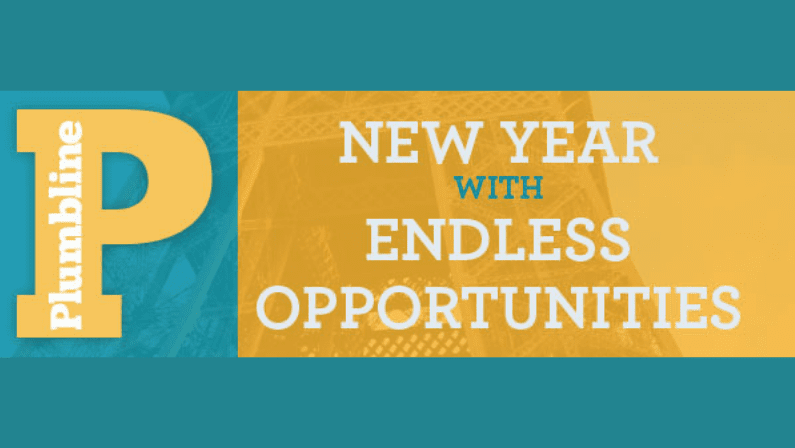 I’m so excited to share that God has erased that deficit, and we ended the year with a surplus of funds that we’ll now direct to our Ministry Beyond Our Border fund to continue providing new French translations. As I write this, I’m amazed at how God continues to bless this ministry in ways I could never imagine! While en route to Chattanooga, TN to celebrate the life of Jack Arthur, I reflected on how God has worked through Jack and Kay for more than 40 years as founders of Precept Ministries International. Jack, a faithful man of God who believed in the power of prayer, experienced many answered prayers that led to a great passion to serve the Lord. Fabrice & Marjorie: The past 10 days, I’ve spent time with another lovely couple and their Precept group of 20 students. 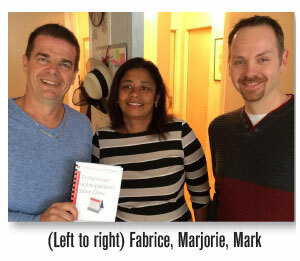 Fabrice and Marjorie are founders as well, of Precept France. Just 3 years ago, Fabrice and Marjorie got married. Three months later, they contacted Precept US asking if there was Precept in France. Marjorie served in a women’s ministry in Mauritius and had searched online for “Bible study”, coming across Precept. The US ministry connected them with Nigel Watts, the Precept UK director, and they began a Bible study over Skype. 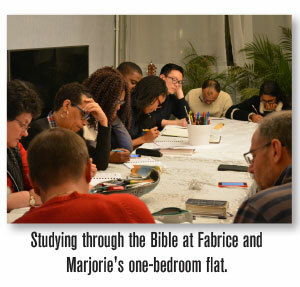 After that study, Nigel met with Fabrice and Marjorie’s pastor in Paris and the pastor agreed to have them hold a Bible study in their small apartment. Now it’s overflowing with people each week! This team is devoted to prayer for their city of Paris and the francophone people of the world. Paris’ largest Evangelical church: Over the past 5 days, I’ve watched as the Lord answered prayer. First, I met with Fabrice and Marjorie’s pastor, Francke, who would like to have an official training workshop and expand Precept Ministries into their small group curriculum. He has witnessed a major transformation in the lives of Fabrice, Marjorie, and their group. The pastor desires to see this happen across all 3 campuses of their church, the largest Evangelical church in Paris with over 1200 members. Praise the Lord! A TV opportunity: Next, I met with a widely-known evangelist, Franck Alexandre. He interviewed Fabrice and Marjorie for his TV show that’s viewed as far as Africa. This was an amazing opportunity for Fabrice to share about their ministry, the inductive study method, and the current French language materials. Fabrice also shared hopes that the New Inductive Study Bible will be translated into French very soon. Top Chrétien: In the third meeting, I learned about Top Chrétien, an internet-based organization that founded the English website Jesus.net. This little website leads people to Christ, and is now in more than 26 languages with 80 partners around the world, including the Billy Graham Association and Campus Crusade for Christ. The France director, David Nolent, knew Fabrice. Through their Facebook connection, David had seen pictures of Fabrice’s Bible study group, and immediately wanted to find out more about this Bible study method and how he could get involved. David also saw our French ministry project videos and was amazed. There may be an opportunity to develop a partnership to reach more people in France. France’s darkness: I’m so encouraged after the last 10 days in London and Paris. I’m amazed at all that God is doing. But the one common thing we heard all across France was how spiritually dark the country is. 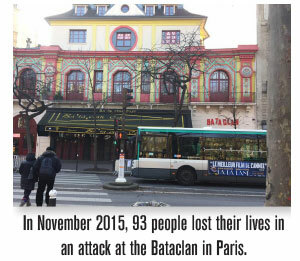 After the attacks on the Bataclan theatre in 2015, people live in fear of terrorism, and many are afraid to die because they don’t have any hope in Jesus. In Paris, we noticed that many of the people wear black and hardly any walk around with smiles. It’s hard to describe, but many are oppressed by the world; they desperately need Jesus. While in France, I shared with many our Ministry Beyond Our Border project to raise $1 million by 2020 for French translation and international ministry development. We know that this country needs some of these funds. The people were overwhelmed with this news, and many were so thankful for our thinking about the people of France and those who speak French across the world. Can you picture this? In English, Precept can provide more than 30 years of Bible study resources to the world, as well as a lifetime of Bible study in the New Inductive Study Bible. In comparison, in French, we have 9 studies that allow people to study for only about 52 weeks. What would you do in Canada if after 1 year there were no studies left to do? I would be devastated as these studies have changed my life. Consider this and prayerfully ask the Lord how you can partner with us in this French translation project. In Guelph, ON, a group has already committed to raising $5000 to translate a book and 90% of the money has arrived. In Simcoe, ON, one of our Bible study leaders tragically lost her son in a military accident and their group felt called to raise the funds to have a book translated in honour of her son. God is at work and providing the funds to reach more than 274 million French-speaking people worldwide. This is just a glimpse of what God is doing with the francophone people. Just wait until I tell you what’s happening in Mauritius and Africa. That’ll be in an upcoming Plumbline.